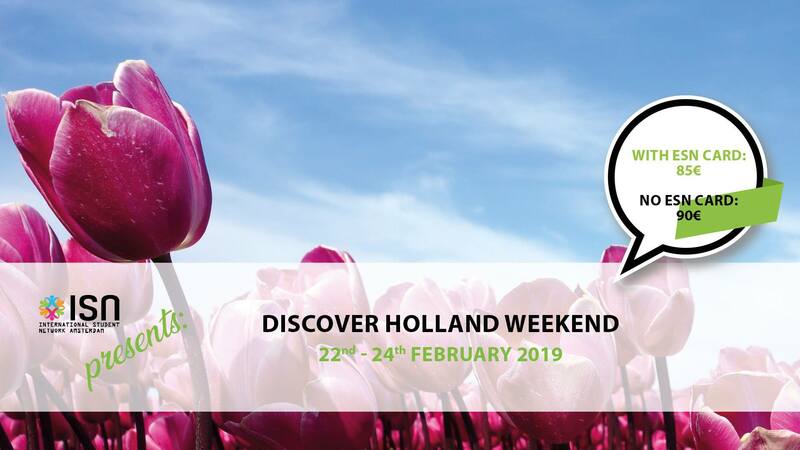 Sometimes a day trip is simply not enough – that’s why we organise our very own Discover Holland Weekend. We will take you to Groningen and Schiermonnikoog on this weekend trip filled with great fun! As a lively university city, Groningen is a place you absolutely should not miss whilst studying here. Groningen was once one of the most powerful cities in the Netherlands and now serves as the capital of the Groningen province in the North of the Netherlands. Its combination of historical architecture, museums, culture and nightlife make it a fantastic place to visit on our weekend trip! Our second and last stop will be the beautiful island of Schiermonnikoog. The tiny island lies in the Wadden Sea and has such authenticity like you have never seen before! There is a lot of nature to see. We will depart on Friday the 22nd of February late afternoon by bus where we will arrive in Groningen in the evening. We will go to our hostel first and then we will all have dinner together. After dinner you will have some time to freshen up and then we will take you on a pub crawl! You do not want to miss the fun night out! On Saturday, after breakfast, you will have time to explore Groningen and in the afternoon we will catch the ferry to Schiermonnikoog. After arriving at our group accommodation – located near the beach – we will have a nice dinner. Before we go out, we will have some pre drinks at our accommodation. Fuuun! On Sunday we have some activities planned and in the afternoon we will catch the ferry back to Groningen where the bus will take us back to Amsterdam. We will be back in Amsterdam around 10.30 PM.